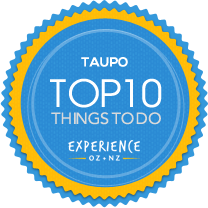 A century ago, the bubbling and steaming lands of Waiora Valley was a major visitor attraction to the Taupo area. Travellers worldwide came by train, by horse or stagecoach, to soak in the therapeutic pools and streams, or to simply marvel at the boiling earth or wander amid the array of coloured silica’s and bright green ferns and mosses. Descriptive writings by early explorers who travelled to the Wairakei thermal area at the turn of the last century, tell of a place so remarkable that at first sight it appeared to be artificially designed by man’s hand. This previously forbidden land of terraces, geysers, springs and mud holes, with its growth of varied vegetation, its rich beauty of ferns, its vivid green carpet of rare and beautiful mosses and its luxuriant trees, were described to the outside world as a natural phenomenon unlikely to be found anywhere else. Maori settled in this area around 1000 years ago, drawn by the thermal activity and the abundance of food, adapting their everyday lives around the hissing steam, the heated and quaking ground, the boiling mud and the roaring geysers. They believed that the hot pools and springs contained healing powers and qualities that aided the treatment of skin diseases and brought relief to people suffering arthritic and rheumatic aliments. The waters of the Te Kiri o Hinekai Stream was highly valued for its therapeutic and smoothing effects on the skin. After having bathed in these waters, people would testify to feeling physically and spiritually cleansed and invigorated. On offer to the visitor is a self-governed tour incorporating features of geothermal and Maori cultural interest, providing a unique window into the thermal wonderland that once existed here at Wairakei. Intricate carvings posted throughout the walk, depict the history of New Zealand, Maori and the local tribe Ngati Tuwharetoa. A man-made geyser is fed by superheated fluids that come from depths of over 1.5kms and pressures of 250 thousand pounds per square inch. Silica-enriched water flows away from the geyser into blue pools then cascades over the terraces, depositing large amounts of silica to form amazing terraces reminiscent of the original pink and white versions of Tarawera which were once touted as the true eighth wonder of the world. These Wairakei Terraces are the crowning jewel in this mystical and are tribute to the natural terraces and geysers that once existed here at Wairakei prior to the geothermal power development.